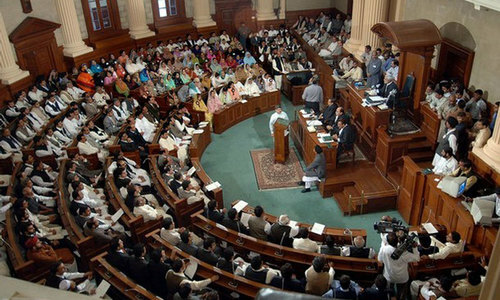 The PML-N on Monday announced that its newly elected MPAs from Punjab will not take oath for their provincial assembly seats and that the party would not attend Punjab Assembly (PA) proceedings until six suspended party MPAs are permitted to participate in sessions. During the PA budget session last week, Speaker Pervaiz Elahi had issued show-cause notices to half a dozen PML-N MPAs for allegedly attacking the assembly staff, vandalising furniture and using abusive language about the government, and had banned their entry to the assembly during the ongoing budget sessions. 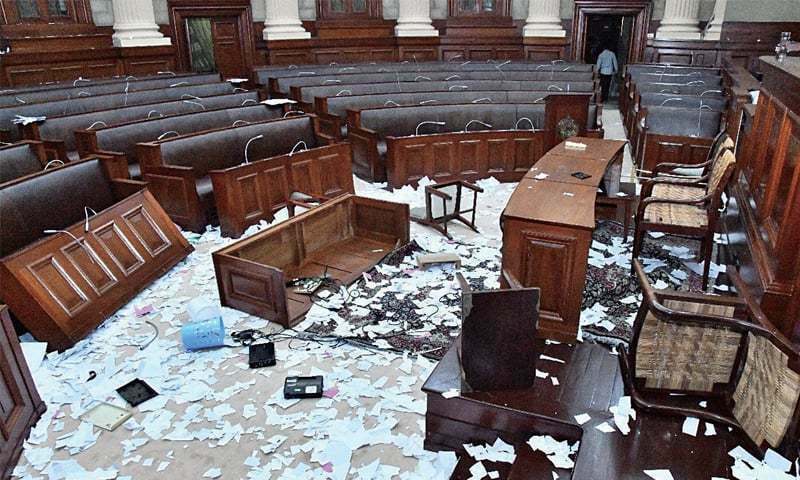 In the aftermath of that rowdy session, Leader of the Opposition in the Punjab Assembly Hamza Shahbaz had warned that the party would boycott the assembly if the suspension of its MPAs was not lifted. 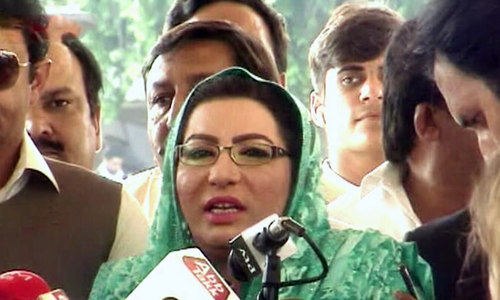 Khawaja Imran Nazir, a former provincial minister who is now a PML-N MPA, told DawnNewsTV today that the party has decided to follow through with its promise, adding that the MPAs who won their seats in the recently held by-elections will not take their oaths in protest. "We will [also] not go to the parliament until our six suspended MPAs are not reinstated," he said. The suspended sextet comprises Malik Muhammad Waheed (PP-156), Muhammad Ashraf Rasool (PP-137), Muhammad Mirza Javed (PP-172), Tariq Masih Gill (NM-371), Zaib-un-Nisa Awam and Muhammad Yasin Amir (PP-162). Following the PML-N's announcement, PA Speaker Elahi said that a six-member committee to investigate the allegation of vandalism against the MPAs will be formed. 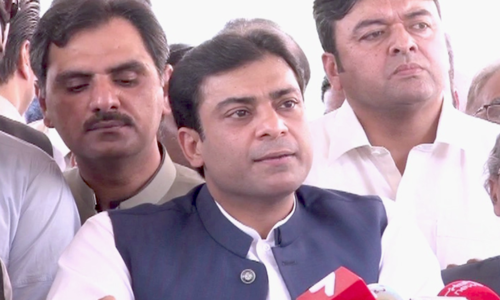 "The investigation committee will analyse the video of the incident and then take further action," he said, adding that "things will move forward when opposition leader Hamza Shahbaz attends the house committee". Elahi, however, made it clear that the house's proceedings will take place as per the law and Constitution "whether anyone comes or not". Later on, Hamza, who protested outside the parliament with his party's MPAs, labelled the suspension of PML-N MPAs an "illegal act". 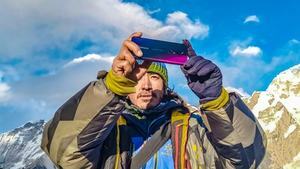 He singled out the speaker for severe criticism, accusing him of "biased" conduct, saying: "There is a committee inquiry conducted before the speaker's ruling but here one-sided action was taken." Hamza said that the house committee will be acceptable to him only if it has equal representation from the treasury and opposition benches. Let them stay out. No rouge members should be allowed inside the assembly halls of any legislators both at federal as well as provincial levels in the Islamic Republic of Pakistan because it's against the spirit of true democratic norms, values, traditions, history, precedents and practices. Yes, please keep up to your words and don't go anywhere near the assembly. Ch Nisar has also not taken the oath; so what is the big deal. Staying out will be rather good. Keep them out of Punjab assemblies and charge them for the properties loss. No only suspended, the 6 of these need to be sent to jail for abusing public property, trust and money. PTI Punjab government and Pervaiz Elahi don't realize that what goes around comes around. You keep showing double standards during you rule, you will be treated likewise when you are in opposition. Just wait and see. So they brought the Container politics into the Parliament. LHC should charge these MPAs. The are working against the SOPs distinguished by law. Disqualify them and kick them out for good. Do not bow down or they will eat you for the rest of your tenure. Seriously, PML-N is the worst opposition. I can not believe my family ever supported this group. My father lost all faith in this group when news broke about the Indian connection. @Atif - you got to be having a personality like the rowdy Punjab politician. Instead of writing some common sense comments you just made a fool of yourself by being childish.